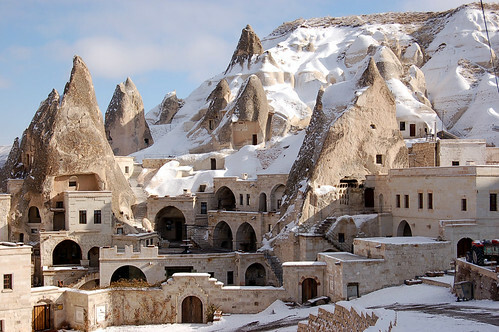 Cappadocia region in central Turkey is famous for one of the strangest landscapes in the world. The area is full of unique geological, historic and cultural features. 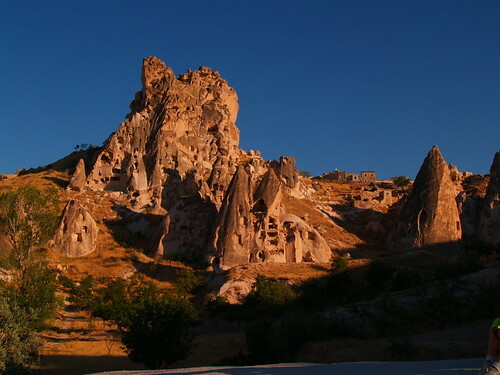 Its deep valleys has hundreds of towering rock formations, mainly of soft volcanic rocks and these have slowly eroded to create the strange "Fairy Chimneys" - a name given by locals who believed that fairies created these towers and live in these towers. Many of these soft towers and mounds had been hollowed out as early as the Bronze Age and caves created to provide protection from the weathers and the predators. However most the caves seen today are mainly from the early Christian era when many Christians hid here to escape the soldiers of the Roman Empire. As Christianity spread, gradually the settlements became cities; the soft rocks were carved out to create houses, churches, monasteries. 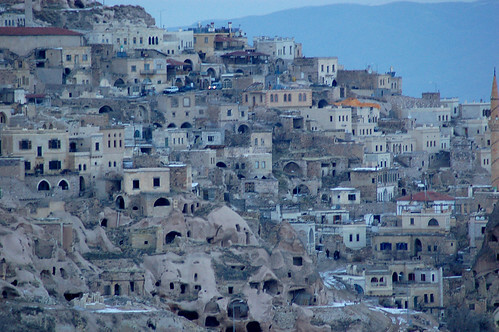 One on of most famous city in the region - Göreme became a monastic centre between 300 - 1200 AD. 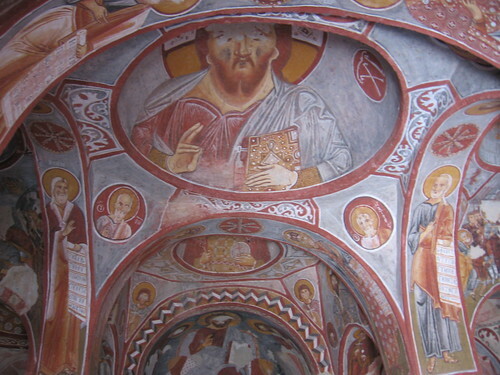 It has more than 30 rock-carved churches and chapels containing some superb frescoes, dating from the 9th to the 11th centuries. 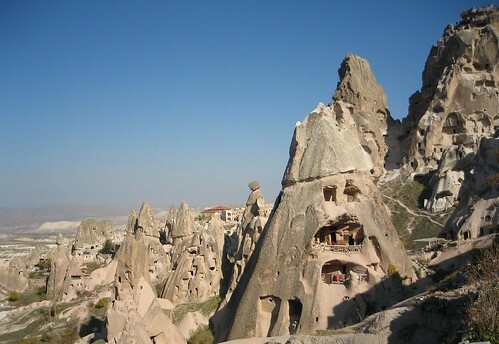 The whole area is very popular tourist attraction and several cave hotels have also sprung up in the region.